There’s something for everyone in this week’s Fresh Goods Friday. 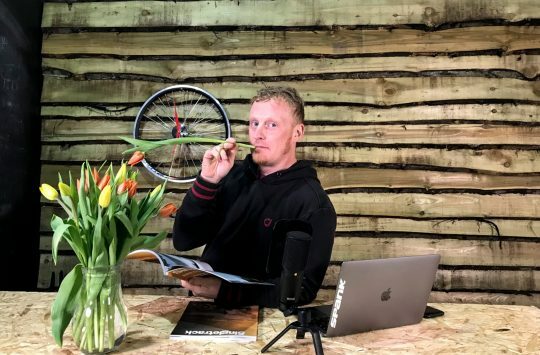 Chipps gets a strikingly beautiful carbon frame, Ross gets to dress as his all-time hero, Hannah and Amanda get ultra casual, and Andi is preparing to “Taze” every KOM on Strava. 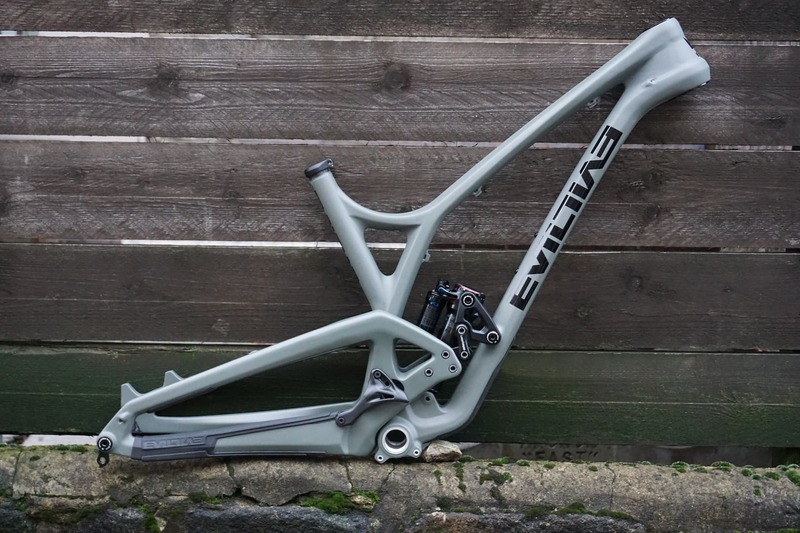 Chipps has managed to wangle himself a brand new Evil Following MB frame in this rather lovely “Drunken Olive” colour. 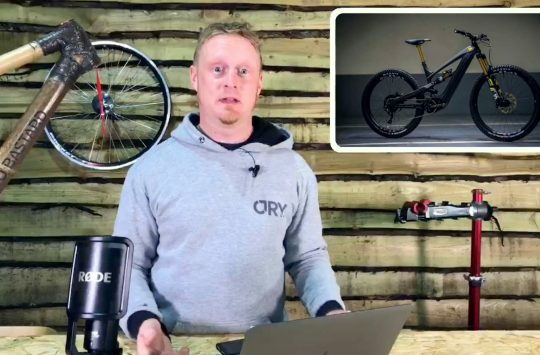 We’re not sure how Chipps plans to build this 130/120mm carbon bike, but it will accept either 29in or 27.5+ wheels so it will be interesting to see which way he goes. That is one very neat chain guide! 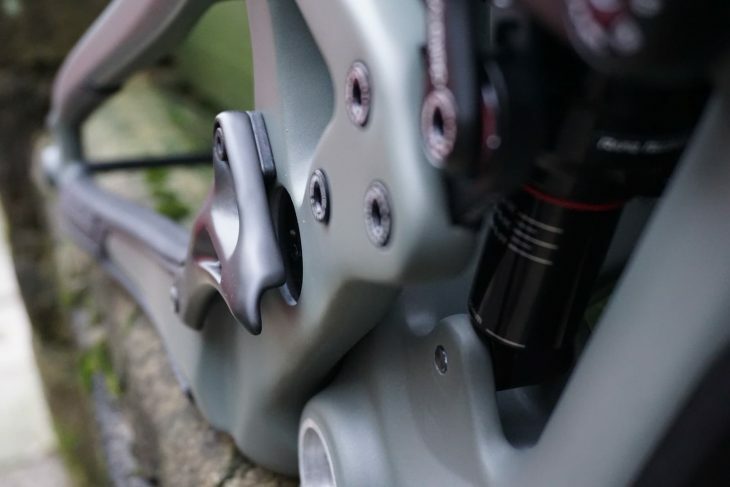 The full carbon frame comes with some nice features such as a lovely integrated chain guide and super squidgy rubber chain stay guards, but it’s the fancy built-in sag meter that we really like. EEEEEVVVIIIIILLLLLL!! Great for MX and MTB. 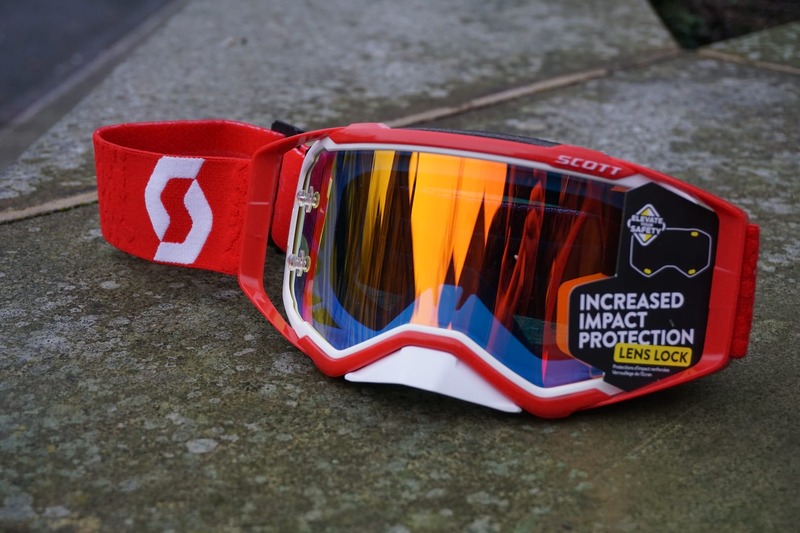 These Prospect goggles from Scott are actually aimed at MX riders, but we’ve been set a pair as part of an upcoming group test. Key features include Scott’s own Lens Lock System, 3 layer moulded face foam for a comfortable fit and a huge field of vision. The Prospect ship with an additional clear lens included and a carry case. 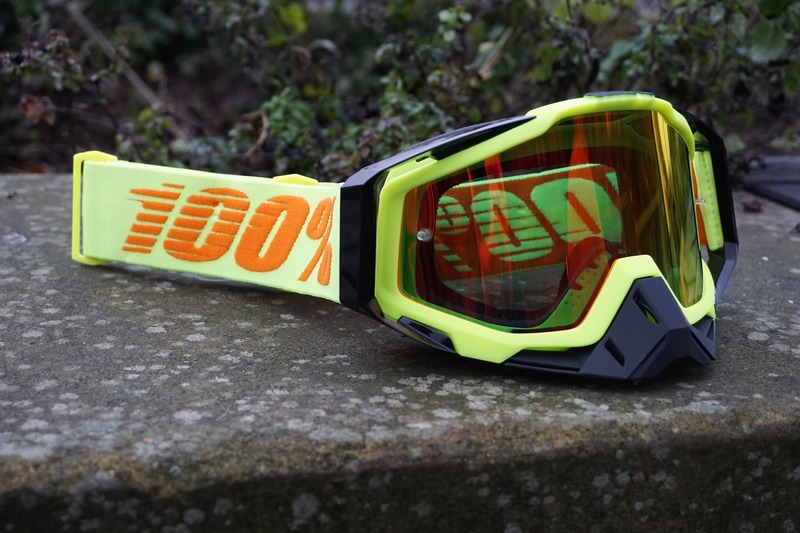 Will these Julbo goggles be as good as the glasses. 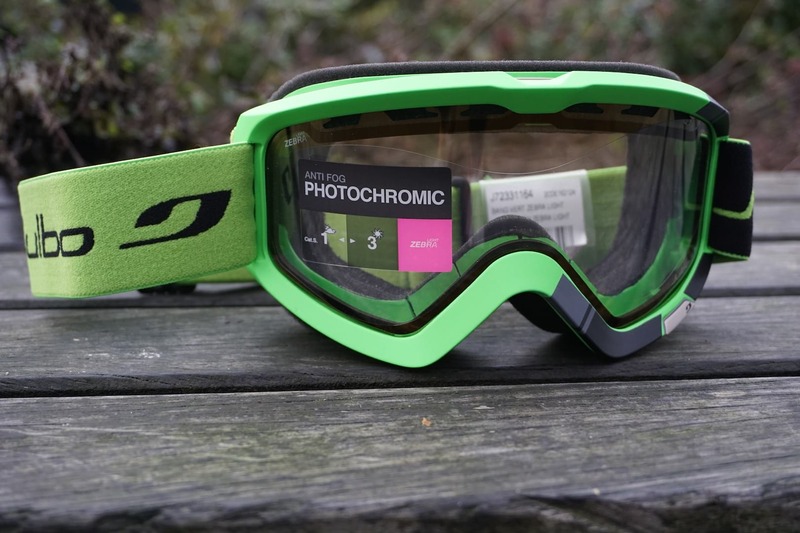 A few of us here at the Singletrack Office enjoyed Julbo’s sunglasses this summer, so we’ve grabbed a pair of their goggles to give a whirl. Like their glasses, the Julbo Bang NXT goggles come with a fast reacting Photochromic lens to suit light conditions out on the trail. Another set of MX goggles performing double duty. 100% have got in on our goggle group test with a pair of the Racecraft goggles. 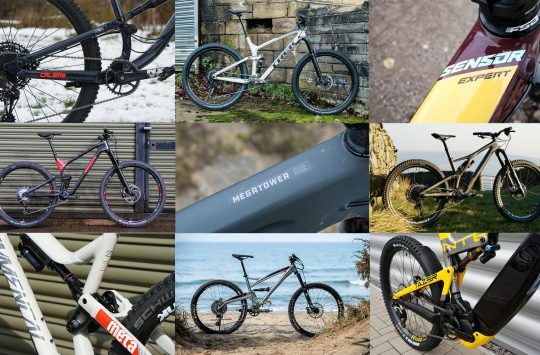 Again these are designed with motocross in mind, but 100% are confident that they’ll do well on a bicycle too. Features include absorbent triple layer foam, a 9 pin lens retention system and Patent pending air intake technology. Fancy. High tech protection from 661. This rad red helmet, oh ok “Matador Red” helmet, sits at the very top of the 661 helmet range. 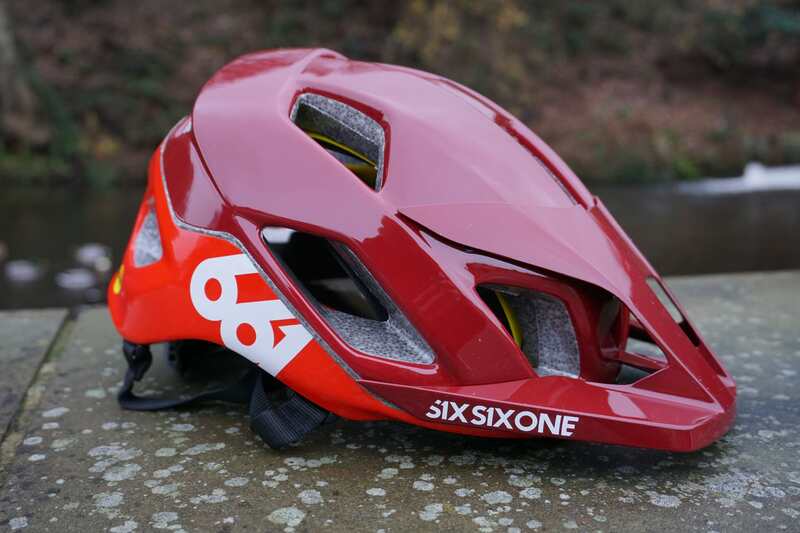 The open face AM lid gets all the features you would expect from a helmet of this price including a BOA FS360 retention system, Contego EPS Foam and a MIPS impact protection system. 15 large vents should offer good airflow while a plush, antimicrobial interior will ensure a cozy fit. Renthal goes fat and flat with the new Zero Rise carbon bar. 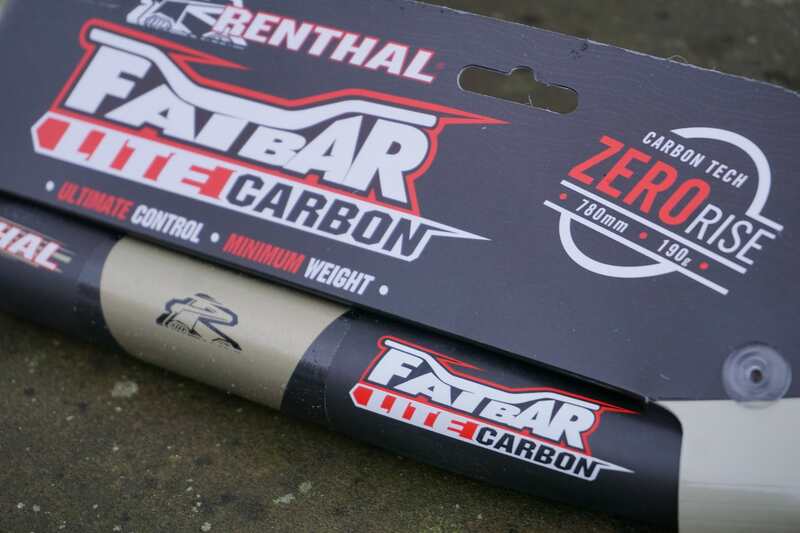 Renthal surprised us all with a new range of flat bars this week. Here we have the ultra-lightweight Renthal Fatbar Lite Carbon bar which weighs only 190g at 780mm wide. The Zero Rise bar has a … 0° rise but a 9° back sweep. Renthal uses a high strength UD carbon construction for these bars with an Anti-slip central surface treatment for peace of mind. Like the carbon model only metal. 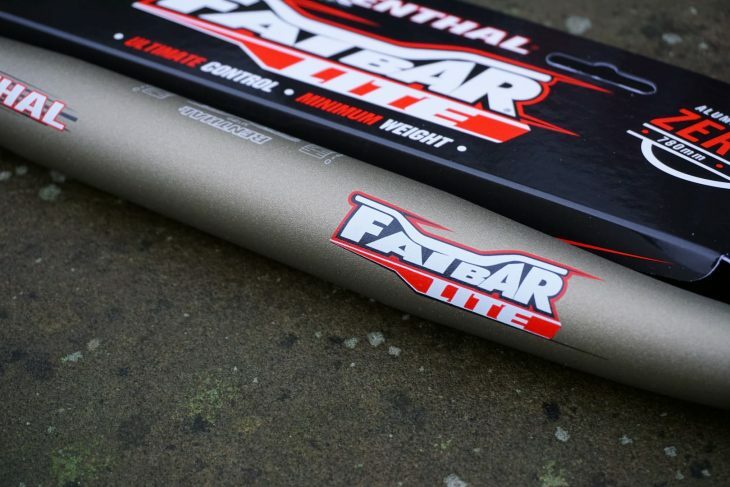 Like the new carbon flat bar only made from 7 series aluminium alloy, the Renthal Fatbar Lite has the same 0° rise and 9° back sweep as the carbon model but weighs 270g, comes in “Renthal Gold” and costs a little less. 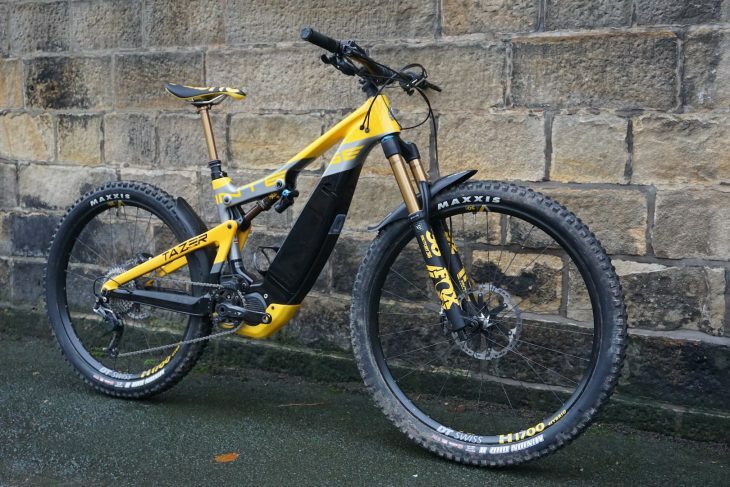 Ross has always wanted to be the Milk Tray Man and this week his dream finally came true thanks to Nukeproof. 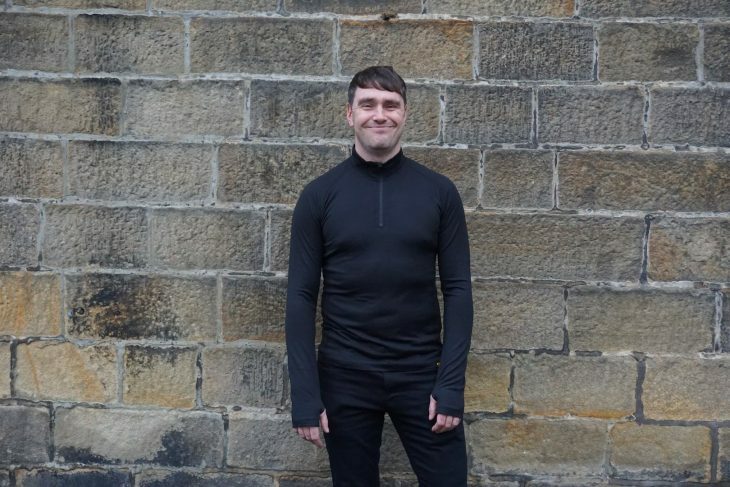 The Nukeproof Merino Long Sleeve Baselayer is really designed to keep you warm and sweat-free while riding, but it can also double up as a fancy dress costume for your spy fantasies. 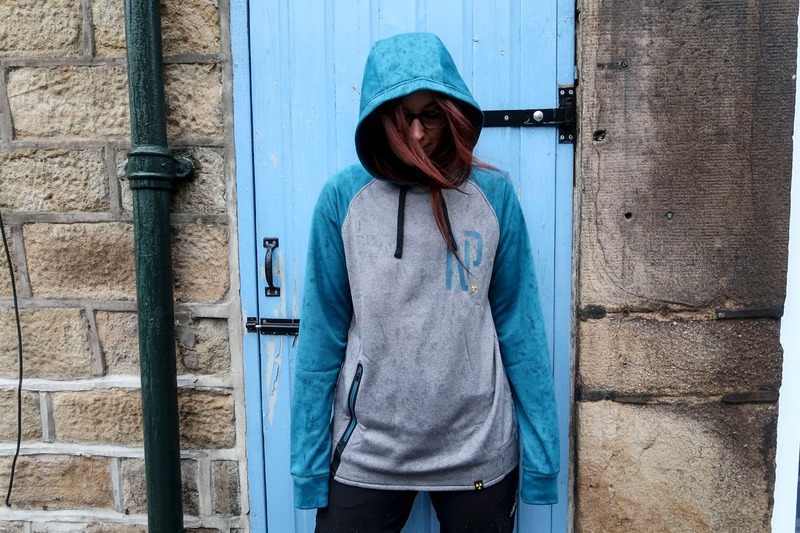 Nukeproof has designed the Outland Casual Hoodie to look and feel like something you would wear while chilling in the bar, and you can do that, but the high tech breathable and moisture wicking material is perfect for on the bike too. Ideal for those winter trips to the skatepark or dirt jumps. 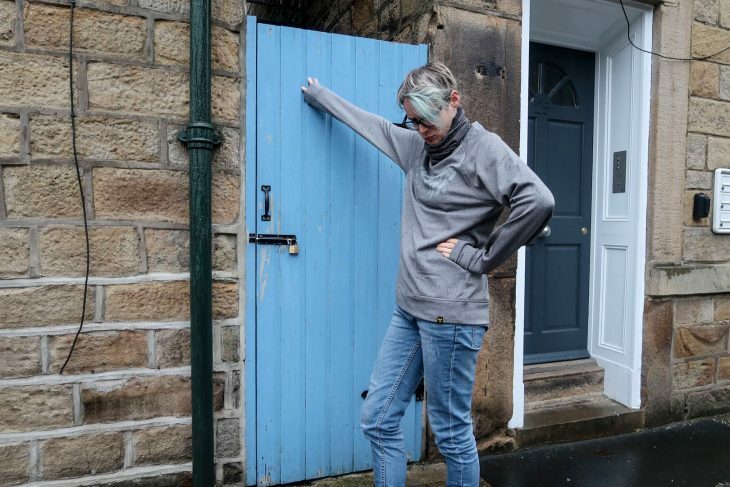 If a casual sweater is more your thing then the Outland Crewneck performs double duty and works well on and off the bike. Again, Nukeproof has used a high-performance moisture-wicking and breathable material so you can ride in it if you want, but you don’t have to. Hannah will soon be joining the Stanton Owners Club. Hannah has been spending a little time at Stanton Bikes in Derbyshire where she has been watching the creation of her new bike. Well, watching isn’t quite that accurate as Hannah has not only powder coated her own frame but welded parts of it too! 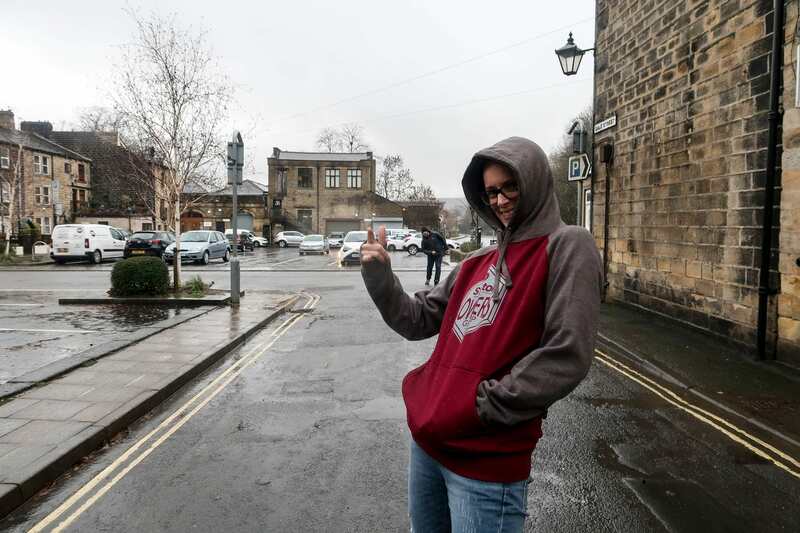 We’re just as excited to see the finished product as she is, although we don’t have Stanton hoodies to prove it. There are already a few of us in the office who are planning to get one of these SDG kits in the stocking for Christmas. 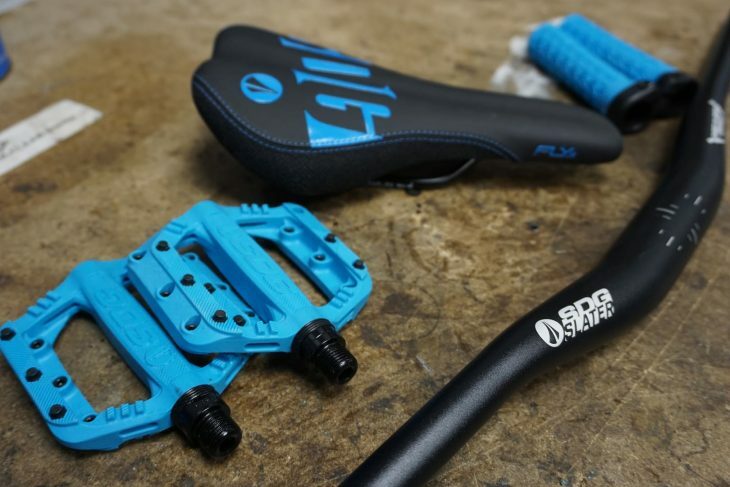 The kit includes a handlebar, grips, pedals and a saddle, all of which are ergonomically designed to suit young riders. We have full details here. Another flat pedal option from Shimano. 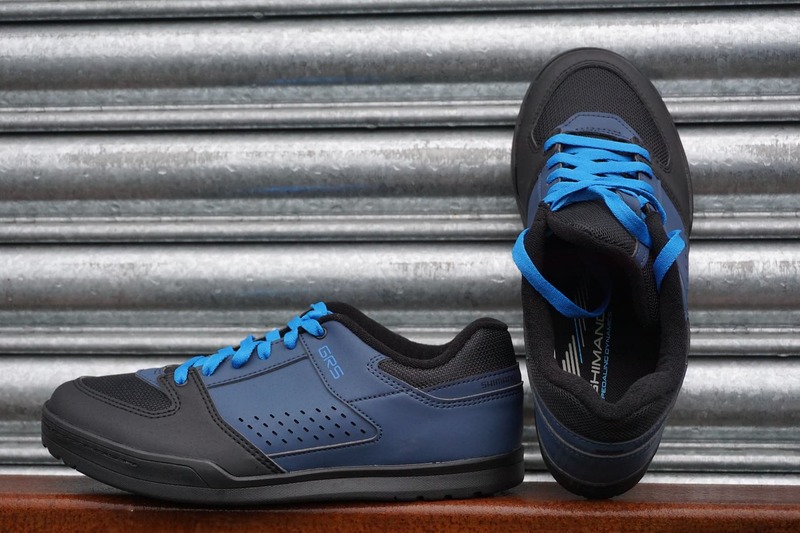 The Shimano GR5 is a flat pedal shoe designed for gravity riders or anyone who prefers riding in flats. The GR5 promises to offer excellent grip and protection and all in a stylish blue package. We intend to get this new shoe as muddy as possible as soon as possible and learn just how sticky the rubber outsole really is. Watch this space. Andi feels as though Christmas has come around early this year. Not only was he invited on the launch of the Intense Tazer in Barcelona earlier in the year, but now Intense have just delivered this shining example of an eBike to the office for him to ride. The bad news is that Andi can no longer complain about long, boring climbs during the winter months and literally has no excuse not to ride anymore. And how about this lovely cover of Peggy Gou’s “It makes you forget” covered by the amazing The Orielles as a finisher? Finally, Hannah insisted to include this too. Following or Offering.. Following doesn’t have 140mm travel. Hello! It’s a Following, with 120mm rear travel. It’ll take a 130 or 140mm fork and we’ve got a 140mm Pike lined up for it. Sorry for the conclusion. Whats the conclusion on the tyres.? 27×2.6 rear and 29er front please Chipps..! !